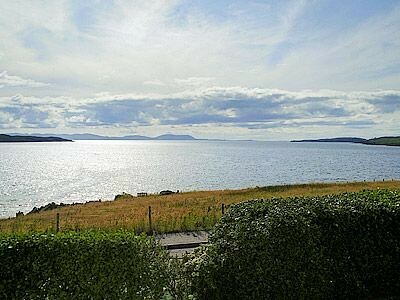 In an elevated position with glorious sea and mountain views in all directions, this light, airy and attractively furnished holiday apartment enjoys a picturesque setting overlooking Loch Ewe. 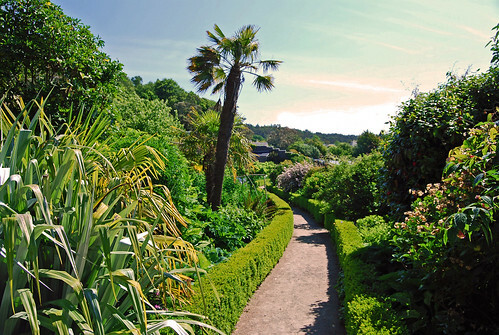 Reached by its own staircase and separate entrance, with the owner living below, it is set on the north west coast of Scotland, only 6 miles north of NTS Inverewe sub-tropical gardens. 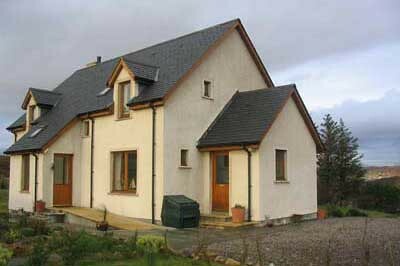 Sea angling and hill loch fishing available, walking and birdwatching in the area. Shops and pubs 3 miles. All on first floor: Living/dining room/kitchen. 2 bedrooms: 1 double (5ft), 1 twin, both with sloping ceilings. Bathroom with shower over bath and toilet. First £5 NSH and elec inc, remainder by 50p meter. Bed linen and towels inc. Elec cooker. M/wave. W/machine. T/dryer. Small garden with sitting-out area and furniture. 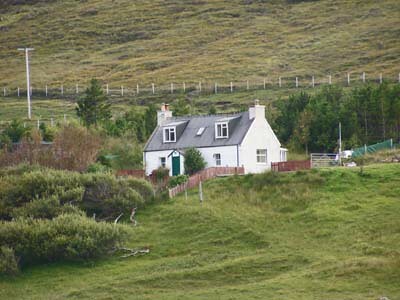 Use of 4-acres croft land. Parking (2 cars). NB: Pond in garden. 1st comment: Lovely people. Very cosy and comfortable. May 2011. 2nd comment: One of the best holidays we have had ever. The hosts were very friendly and approachable. 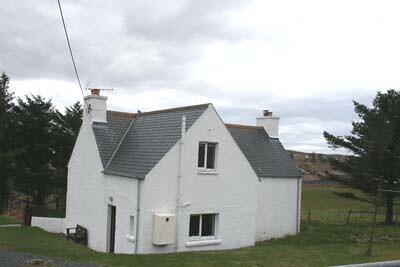 The cottage was in a scenic location at Mellon Charles, a quite village by the sea. 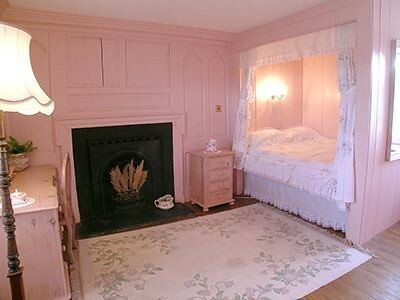 The cottage had all the basic facilities and each room had hand picked antique furniture which were beautiful. Not to forget that we were welcomed by the hosts with delicious lemon cake and Easter eggs. April 2011. 3rd comment: Beautiful views and nicely furnished. Sept 2010. 4th comment: Charming and very comfortable cottage, lovely views out to the water, trees and flowers, and extremely hospitable hosts. Aug 2010. 5th comment: The property contained all that was required. The master bedroom was good. Although we did not require it the second bedroom is very small and the wardrobe looks abit tatty. May 2010. 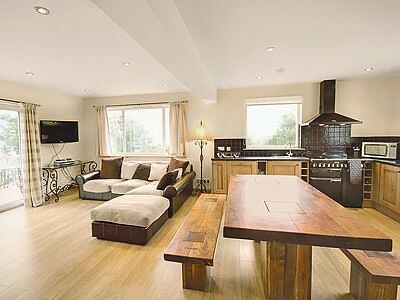 6th comment: Lovely location, very tastefully decorated and very well equipped - the owners were great, very helpful and informative. Oct 2009. 7th comment: Owners made us feel very welcome and we only wish we could have stayed longer. Views from every window were breathtaking. June 2009. 8th comment: Owner was on site and welcomed us with a cake which everyone has commented on previously in the visitors book. Comfortable bed. July 2009. 9th comment: Property was comfortable and met our requirements for a short break. July 2009. 10th comment: The Croft is beautiful. A stunning and remote location. Ideal for peace and quiet. The views from all the windows were amazing. It was very clean and very well equipped. 4 nights is not long enough! July 2007.